The Kia Sorento has been family favorite for years. So, if you liked it before, you are sure to enjoy the great improvements that Kia engineers have incorporated. This vehicle can fit your entire family comfortably and easily accommodate the needs of a driver with a demanding lifestyle. Whether you are an outdoorsman who needs space for your exploring essentials, or a busy mom who requires storage space for your shopping finds – this SUV is perfect for you! Like all Kia vehicles, this model is featured at a great price point. Therefore, you won’t have to worry about breaking the bank on the high quality vehicle you deserve. Visit Mike Shaw Kia to test drive a Kia Sorento vehicle in Corpus Christi. Why Choose the Kia Sorento? Last year’s version of the Kia Sorento was completely redesigned from Sorento models in the past. This year, this vehicle is much more sophisticated and even bigger than before! That’s right, the Kia Sorento has upgraded from a compact midsize SUV to full fledge midsize SUV status. It incorporates user-friendly controls, multiple technological features, and versatile second-row seating. This way, you can ensure that each person in the vehicle has a good amount of space to themselves. Enjoy up-to-date electronics and comfort for your passengers when you buy a Kia Sorento. Check out one of the five trims that the Kia Sorento is available in: Base L, LX, EX, SX, and SX Limited. You can feel confident about the high level of security that this vehicle provides. The Sorento is equipped with traction and stability control, antilock brakes, rearview camera, and multiple airbags. Purchase a Kia Sorento to experience exceptional driving safety, today. Five distinct trim levels are offered with the 2019 Kia Sorento: L, LX, EX, SX, and SX Limited. The base L receives automatic headlights, Apple CarPlay, *Bluetooth®, a CD player, satellite radio, Android Auto, a USB port, 17-inch wheels, a rearview camera, and a 7-inch touchscreen. The LX gains rear-cross traffic alert, roof rails, blind-spot monitoring, a noise-reducing windshield, additional USB ports, and dual-zone automatic climate control. The EX adds a power liftgate, rear parking sensors, automatic emergency braking, a power-adjustable front passenger seat, air-conditioning controls, keyless ignition and proximity entry, 18-inch wheels, leather upholstery, adaptive cruise control, and forward collision warning. The SX trim provides a wireless phone charger, LED running lights, 19-inch wheels, driver seat memory settings, and more. The top trim, the SX Limited, comes with heated outboard second-row seats, black brake calipers, chrome-clad wheels, and fog lights. 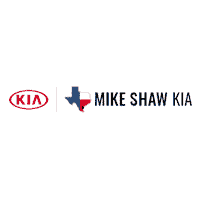 Why Buy from Mike Shaw Kia in Corpus Christi? When you are ready to get into your new Kia Sorento, choose Mike Shaw Kia as your dealer. We employ expert professionals who are dedicated to providing each customer with the best service possible. Whether you need assistance with selecting the vehicle that fits your needs, finding finance options, or obtaining a lease – our dealership is devoted to serving you. You can even find excellent maintenance and repair options at our service center. Stop by Mike Shaw Kia and receive the service that you deserve.